We offer spacious 2-bed rooms in the newly dedicated of a standard 4*. Rooms also have bathrooms with modern showers, and some have balconies. 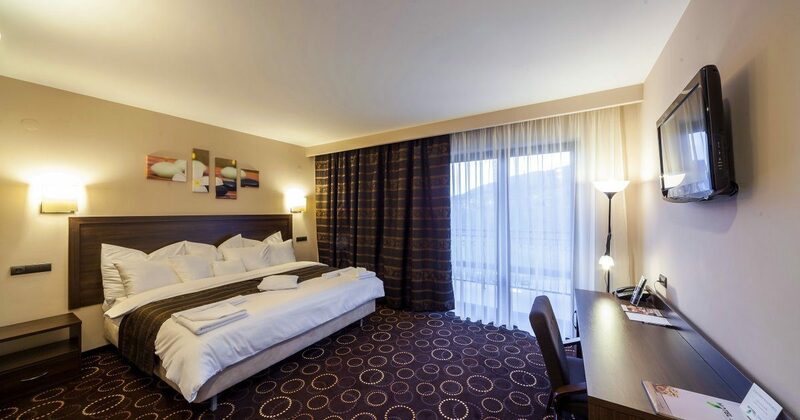 All rooms provide the possibility to combine regular beds, and to put an extra bed. The high standard of our resort together with a warm character of interiors, colours of walls and fabrics, they all favour rest and relaxation.